Human growth hormone (hGH) is a protein hormone essential for normal growth and development in humans. hGH affects many aspects of human metabolism, including lipolysis, the stimulation of protein synthesis, and the inhibition of glucose metabolism. Human growth hormone was first isolated and identified in the late 1950s from extracts of pituitary glands obtained from cadavers and from patients undergoing hypophysectomy. The first clinical use of these pituitary-extracted hGHs for stimulation of growth in hypopituitary children occurred in 1957 and 1958 (Raben, J Clin Endocrinol Metab 18:901–903, 1958). From 1958 to 1985 the primary material used for clinical studies was pituitary-derived growth hormone (pit-hGH). Human growth hormone was first cloned in 1979 (Goeddel et al., Nature 281:544–548, 1979; Martial et al., Science 205:602–607, 1979). The first use in humans of recombinant human growth hormone (rhGH) was reported in the literature in 1982 (Hintz et al., Lancet 1:1276–1279, 1982). The introduction of rhGH coincided with reports of a number of cases of Creutzfeldt-Jakob disease, a fatal degenerative neurological disorder, in patients receiving pituitary-derived hGH. 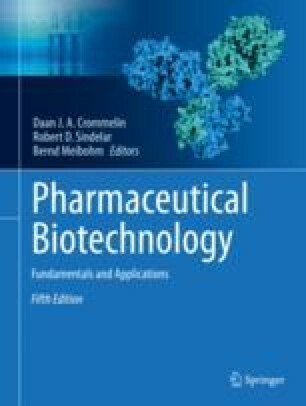 Concern over possible contamination of the pituitary-derived hGH preparations by the prion responsible for Creutzfeldt-Jakob disease led to the removal of pit-hGH products from the market in the US in 1985 followed by the FDA approval of rhGH later in the year. The initial rhGH preparations were produced in bacteria (E. coli) but, unlike endogenous hGH, contained an N-terminal methionine group (met-rhGH). Natural sequence recombinant hGH products have subsequently been produced in bacteria, yeast, and mammalian cells.